MMO MMORPG News·Editorial·PAX East 2015 Day 3 Recap – Gigantic, Guns of Icarus Online, Echo of Soul, Cosplay, and More! 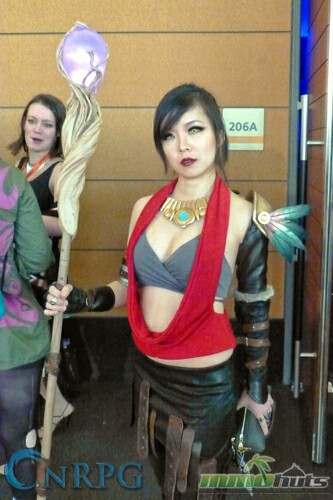 PAX East 2015 Day 3 Recap – Gigantic, Guns of Icarus Online, Echo of Soul, Cosplay, and More! Our time at Day Three was very limited, but luckily there is still much left to tell from Day 1 and 2 that we have not yet covered! It was a pleasure simply to go, and I learned so much, and saw even more. There is excitement coming to the gaming community at large, and much of it was visible at Pax East, from huge AAA titles like Overwatch, to lesser known but still remarkable titles such as Dreadnought. But Day 3 held the title I was most excited for personally, and you will be too, when you see more on it, and that’s Gigantic. Without a double, it was the real winner of Best in Show at Pax East!